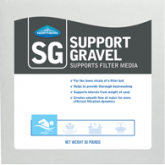 Northern Filter Media’s pool support gravel possesses the perfect attributes to support the filter media whether it’s Zeobest, Zeobest Ultra or Northern Filter Sand. 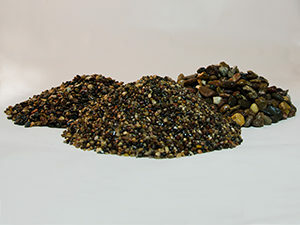 Our support gravel provides for a much more complete and thorough backwash of the filter media by defusing the backwash water in many more directions than laterals do by themselves. Our support gravel is multi-colored, hard and rounded. We size it to the exact specifications needed for pool filters: 1/4×1/8 inch. Properly placed, Northern Support Gravel will help protect and extend the life of your filter laterals.